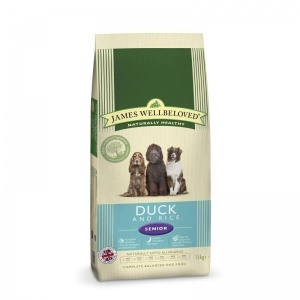 Duck and Rice Kibble - Complete balanced dog food. The combination of rich meat goodness of duck with wholesome brown rice and energy packed organic oats. Hypo-allergenic to help stop loose digestion and soothe skin irritation. Gentle on your dog's digestion. With organic oats for energy and JW+ unique formula Joint Therapy System - a special mix of chondroitin glucosamine and herbs to help lubricate dog's joints and ligaments aiding mobility. Delicious and crunchy smothered in duck gravy. British made for freshness and quality. 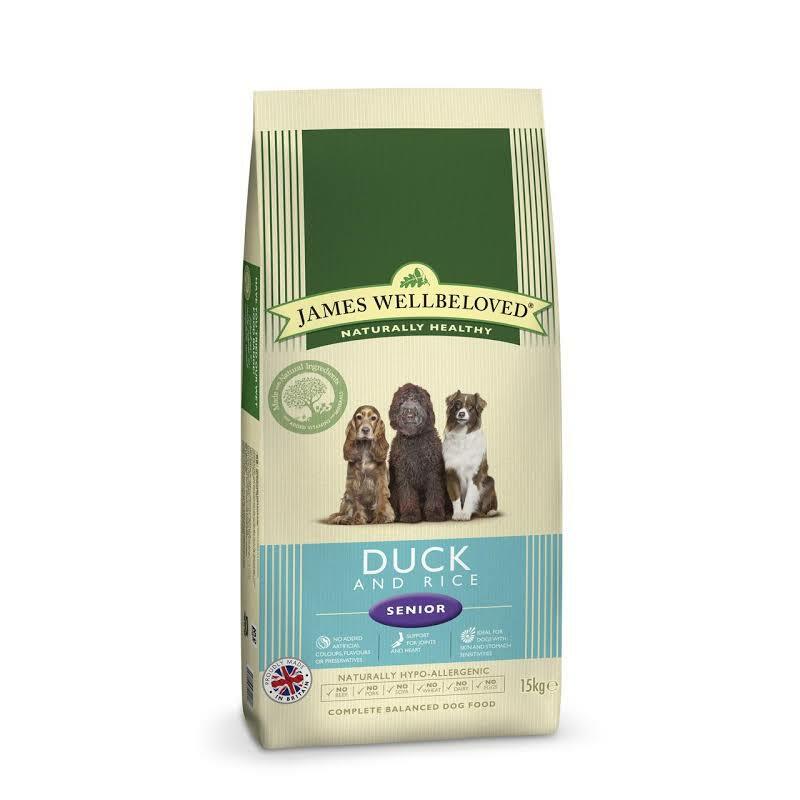 brown rice (39.7%); duck meal (15.0%); white rice (14.6%); naked oats; whole linseed; duck gravy (2.9%); duck fat (2.4%); alfalfa meal; pea fibre; chicory pulp; seaweed (0.5%); omega oil supplement*; potassium chloride; sodium chloride; parsley (0.125%);nettles (0.125%); taurine (0.1%); chicory extract (0.1%); calcium carbonate; glucosamine (0.045%);yucca extract (0.02%); chondroitin (0.005%) * from fish oils.